Amazon Canada Twitch Prime April 2019 Lineup: Get Her Story, InnerSpace, Joggernauts + More for FREE with Amazon Prime Get Four Games for FREE with Amazon Prime! Be a part of an interactive movie this month with Amazon Prime, because the critically-acclaimed Her Story is one of four games featured in April's lineup of free Twitch Prime games! 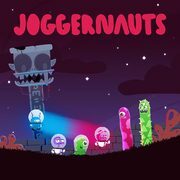 Twitch Prime is included with all Amazon Prime memberships and April's free games include Her Story, InnerSpace, Joggernauts, and Keep in Mind: Remastered! These Twitch Prime games are available until April 30. Free games are accessible through your Twitch account forever, even if you cancel Amazon Prime, as long as you add them to your library before the monthly deadline. Thanks for the reminder! That also reminds me I need to go claim the latest Games With Gold on my xbox. Not the best month but you can’t complain to free games. Her Story is a terrific game to play with that person you know who watches all of the CSI shows but doesn't like gaming. It's a fun mystery to crack together. So I claimed the free games. Is there a fee for twitch prime after the 30 day free trial? Or can you have twitch (no prime) and continue playing the games for free?